The Congress today alleged a company floated by Nitin Gadkari's private secretary has been receiving government funds and demanded that the Union minister come clean about it. 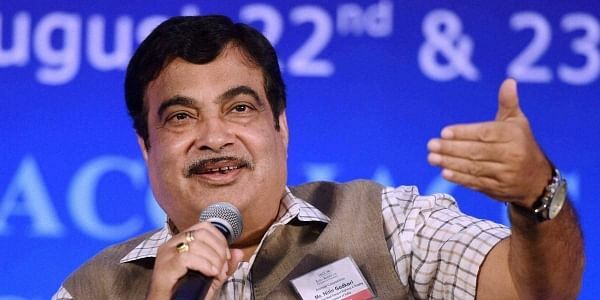 NEW DELHI: Claiming conflict of interest, the Congress today alleged a company floated by Nitin Gadkari's private secretary has been receiving government funds and demanded that the Union minister come clean about it. The BJP, however, rubbished the allegations against Vaibhav Dange as "baseless". It said the Congress' charge stemmed from Prime Minister Narendra Modi's "rising popularity and spotlessly clean" governance which has left the opposition party "rattled". Senior Congress MP Jairam Ramesh listed the alleged "scam" by Dange in a series of alleged irregularities by BJP leaders and their relatives, including its president Amit Shah's son Jay. He also referred to alleged irregularities and conflict of interest in the running of India Foundation of Shaurya Doval, son of National Security Adviser Ajit Doval. News portal The Wire had published two articles recently about the turnover of a company run by Jay Shah growing manifold after the BJP came to power at the Centre in 2014, and several Union ministers being directors of India Foundation of Shaurya Doval. Jay Shah has dragged The Wire to court, filing criminal and civil defamation cases against the portal, while Shaurya Doval rejected the charge that there was any conflict of interest in ministers being directors of India Foundation. Ramesh said Dange and a man named Motiram Kisanrao Patil floated a company-- Indian Federation of Green Energy (IFGE)on October 9, 2014, with a paid-up capital of Rs 1 lakh. The IFGE, Ramesh alleged, received Rs 1.5 crore since its inception. "...and the money came from the ministries controlled by Gadkari. IFGE organises conclaves and programmes with ministries and PSUs, and receives financial contributions. "It receives contributions also from corporate entities and persons who deal with the ministries," Ramesh told reporters here. The Congress leader claimed his allegation was based on information available with the Registrar of Companies. He said it was "unacceptable" that the minister was unaware of the money being received by Dange's firm. Ramesh claimed Dange's firm also had the patronage of Union Ministers Suresh Prabhu and Piyush Goyal but without much elaboration. He only said the company's website had Prabhu's photograph and that the ministry of new and renewable energy supported IFGE when Goyal headed it. The former Union minister said Dange had violated the Central Civil Service (conduct) Rules that prohibit a public servant from accepting contributions or raising funds. Ramesh said, according to a corporate filing by the IFGE, its office is at Rohit House on Tolstoy Marg in the national capital. The office, he claimed, is owned by IFGE's national executive member Ravi Boratkar, who is also a director of Purti Power and Sugar Limited owned by the Gadkari family. "So, Gadkari cannot say he is not aware of the dealings of his private secretary's company...Gadkari should come clear about it...Dange has to resign immediately," the Congress leader demanded. "This is a quintessential case of conflict of interest...Will the prime minister speak up, act now?" Ramesh asked. Responding to Ramesh's allegations, BJP spokesman GVL Narasimha Rao said these were "baseless" and aimed at sullying the government's image. "The Congress party's allegations against Mr Vaibhav Dange are much noise about nothing. Vaibhav himself has refuted these allegations in a written statement," Rao told PTI. He said the Congress was repeatedly making such allegations hoping "in desperation that something would stick". The only effect of such "flimsy" charges is "erosion" of the Congress' credibility, he said. "The Modi government is spotlessly clean and a corrupt All India Corrupt Congress can never challenge the BJP's integrity. The Congress would be fooling itself and nobody else by its petty and pointless allegations," he said.